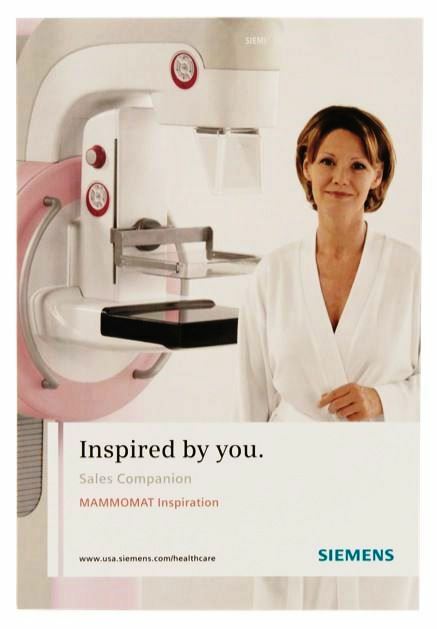 Siemens was launching its latest mammography system called the Mammomat Inspiration. 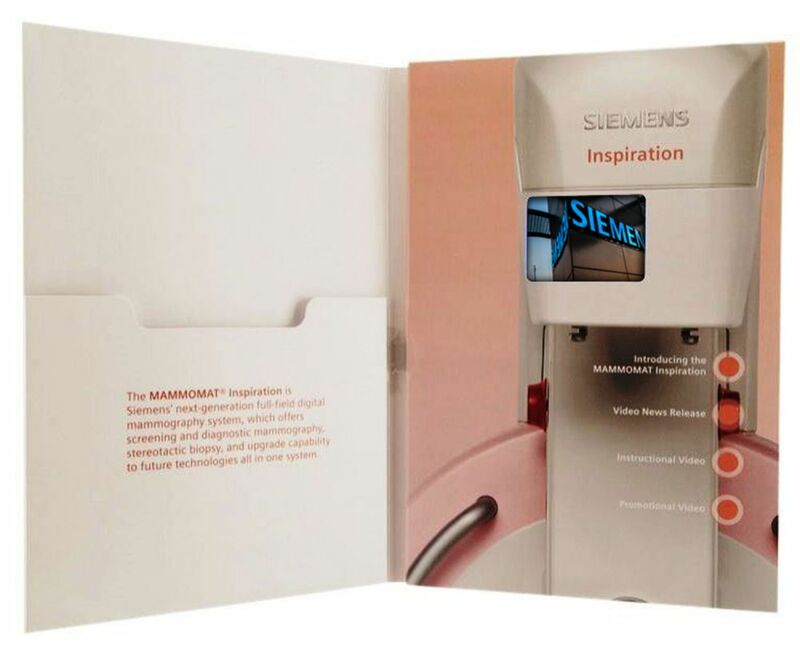 To promote its launch, Siemens needed a compelling product brochure or “Sales Companion” to persuade healthcare professionals that the new piece of equipment was the right fit for their patients and labs. Given the complex nature of the product, Siemens did not want to rely solely on their sales reps to convey the critical information to tech-savvy clients. Working with Siemens’ agency, Americhip designed and produced an innovative marketing brochure incorporating our patented Video in Print technology. 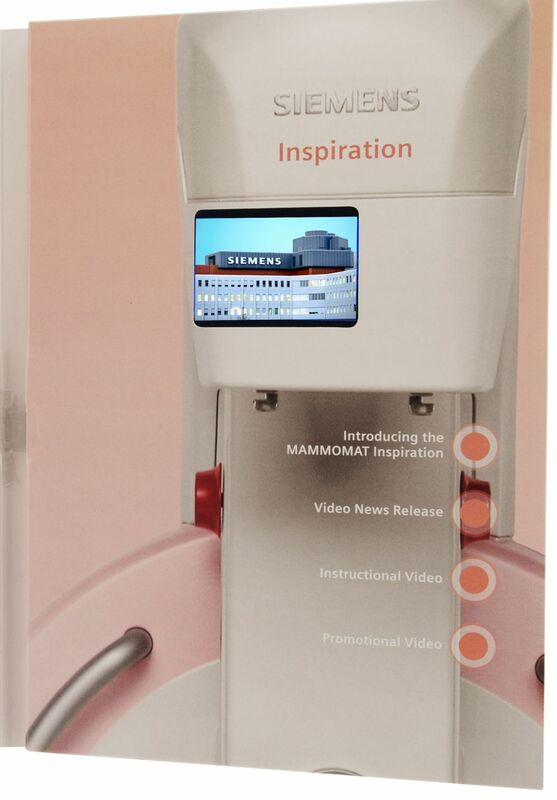 Siemens utilized the Video in Print sales companion to feature all of the key specs, capabilities and benefits of the Mammomat Inspiration, and also shared customer testimonials, video news releases and instructional videos. Rather than relying solely on its reps to talk about the equipment, Americhip’s Video in Print brochure allowed Siemens’ team to actually demonstrate the machinery and highlight its technological enhancements. No other technology but Video in Print could provide just the right compelling sales companion for this high-tech piece of equipment. Transform your next sales aid or product brochure from a traditional, overlooked piece into a real show-stopper. Speak to your audience through a medium that motivates and inspires.